I really like grooming products. 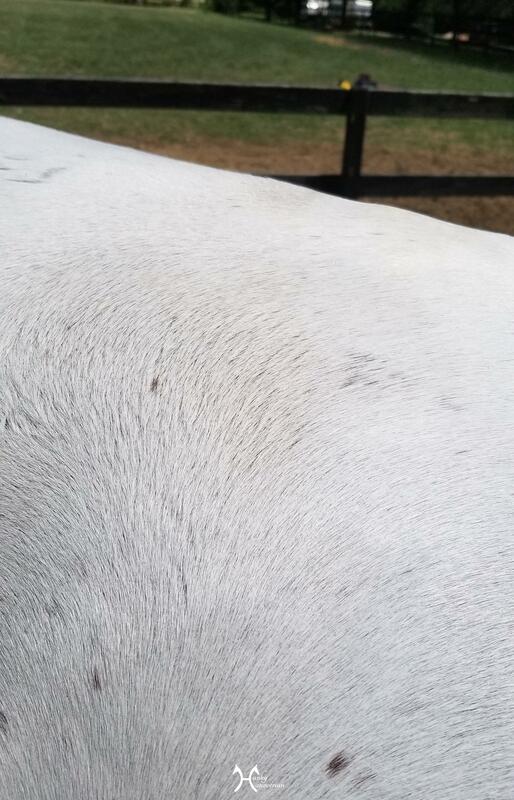 At any given time I have a minimum of 5 coat conditioners, shine sprays, detanglers etc in my tack trunk. I also really like to try new brands, especially start up companies. 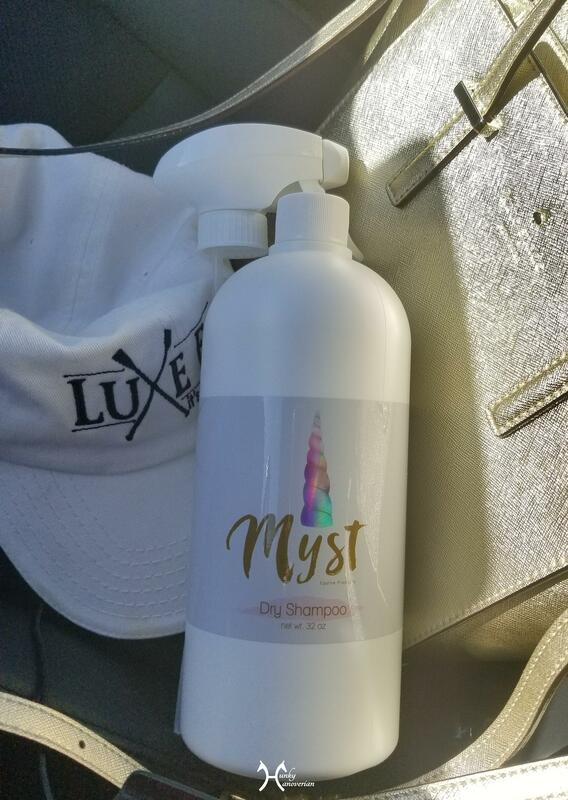 This interest of mine, combined with the stupid cute product packaging of Myst Equine Products, lead me to order a bottle of their Myst dry shampoo to test out. I’ve had it a couple weeks now, so here is my review! Cut your grooming time in half by using our Dry Shampoo. 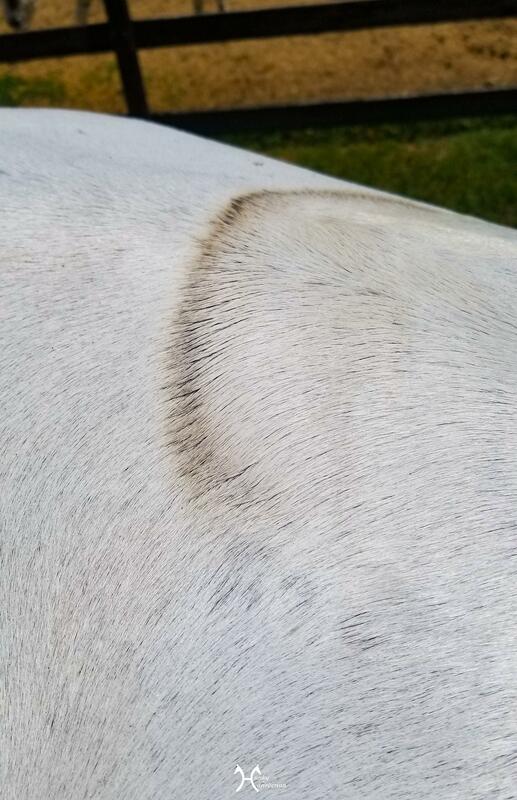 It is easy to use and effective on horses of every color. Removes stains, dust, and hard to clean spots all while adding luster and shine. 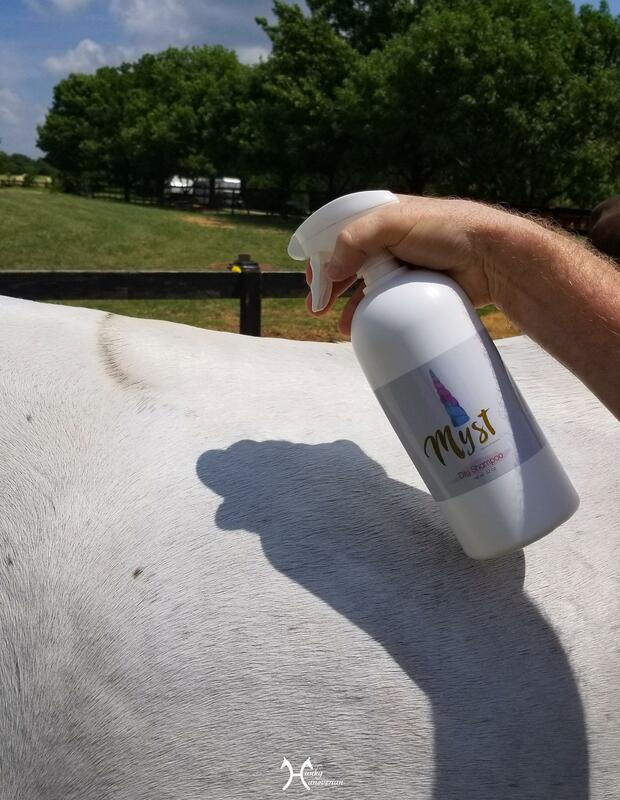 Like all Myst products, our Dry Shampoo contains our signature Anti-Itch Herbal Infusion to help prevent fungus and skin irritations without leaving the coat greasy. Donkeys can be unicorns too you know! 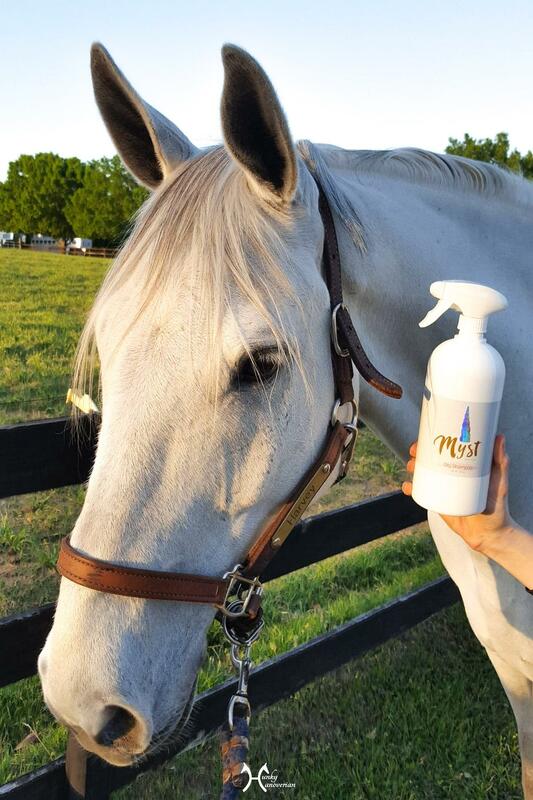 My awesome barnmate Norm was nice enough to let me try out the Myst Dry Shampoo on his gorgeous gelding Harvey. 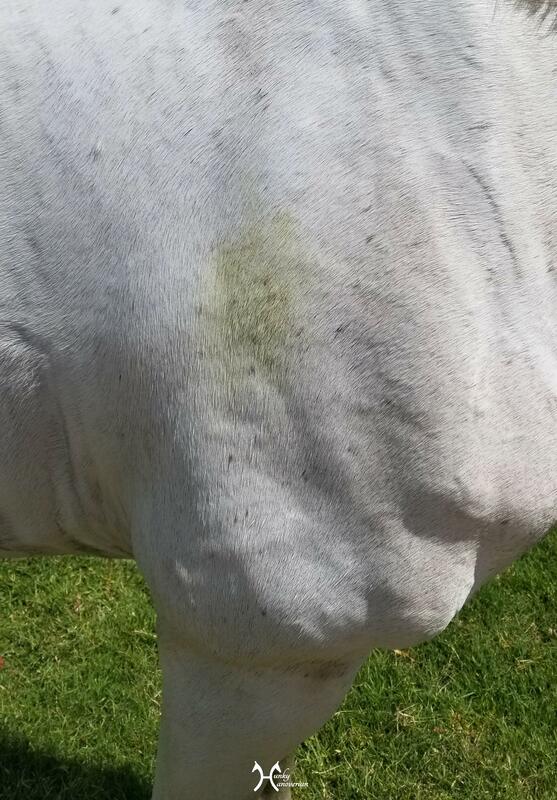 I figured Harvey would make a better subject for showing effectiveness of the product since he is a grey and all! We tried it out on a few different kinds of spots and were both pretty blown away with how easy and effective it was. A few sprays on the spot, a quick rub with a rag, and wah-la! No more stain! A very simple to use and effective grooming product for sure. 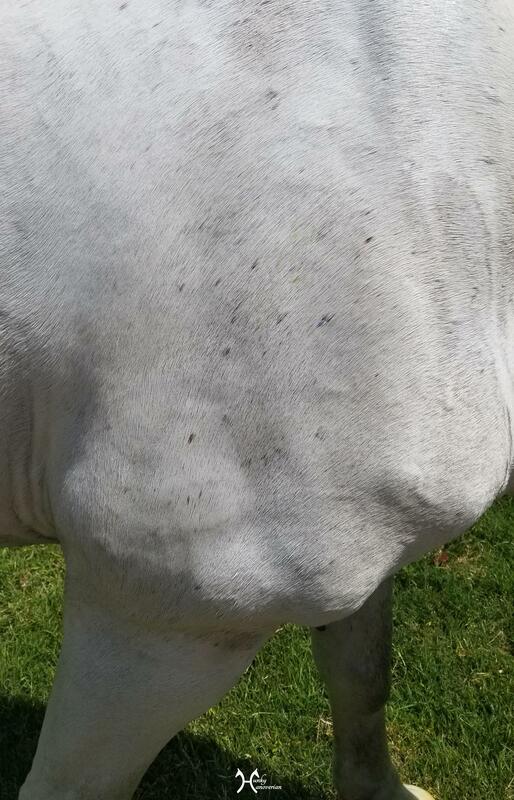 Would definitely be a life saver for anyone with a light colored horse! I have also been using it on Rio as well. Not so much as a spot stain remover, but more as an all over spray followed by a quick rub with a rag and a light brush. You’d be shocked to see how much dirt comes off- way more then when I use a rag after a regular shine spray. I’ve also been pleasantly surprised by how shiny it leaves him, without being slick. Love the product, love the packaging. What’s not to like? It’s a teeny tiny thing, but I have to mention it. The smell. It’s not bad, but it’s not great. I can’t help it, I love a great smelling grooming product. This one is just… meh. I feel like a great scent would really just check all the boxes for me. At $24 for 32 oz I feel this product is a good value. The downside is the cost of shipping is $9.91, which ups the total cost to $33.91. Still not terrible in my eyes, but definitely decreases the value factor a notch. That being said, the shipping was SUPER fast (3 days!) and they kept me updated via email every step of the way. Don’t want to spend the money on shipping? 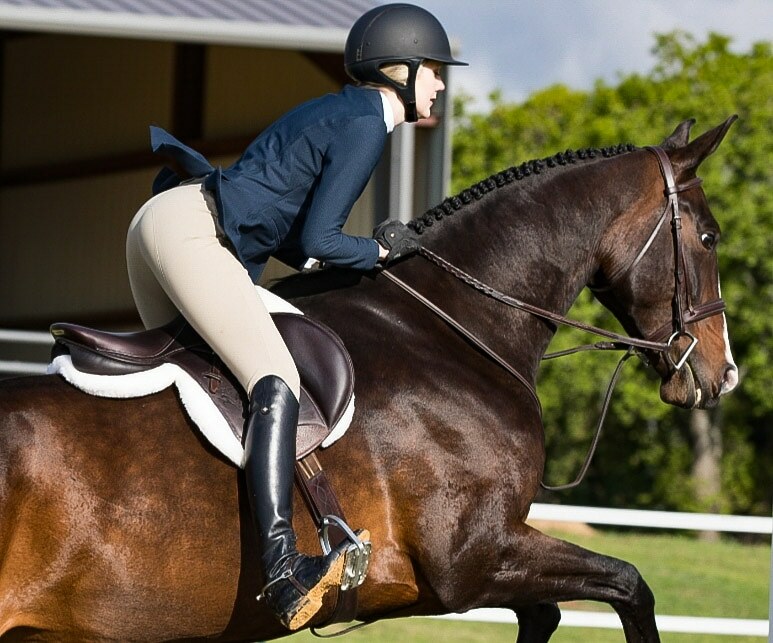 Ask your local tack store to start carrying Myst Equine Products! 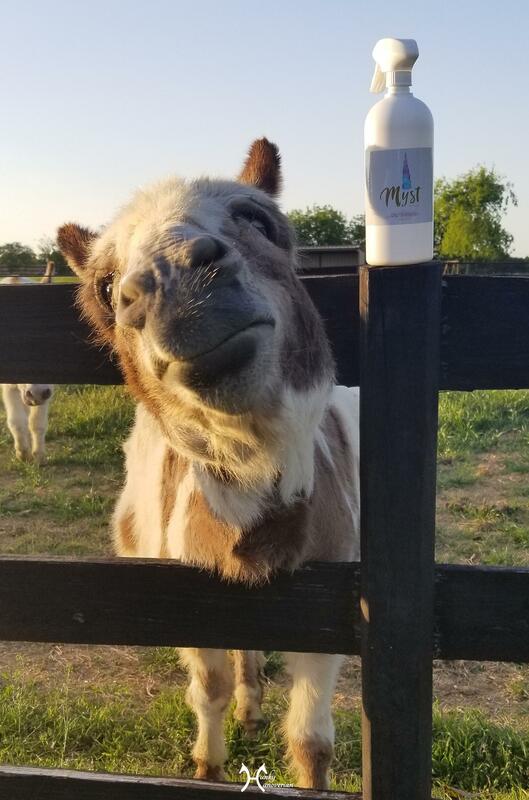 Norm liked how the dry shampoo worked so well that he went online to order some. When he saw the cost of shipping, he contacted Rachel with Myst via e-mail. She said that unfortunately they couldn’t control the cost of shipping, but would be happy to get in contact with his local tack store. Norm talked to Quail Hollow (our awesome local store) and they got in contact with Rachel. 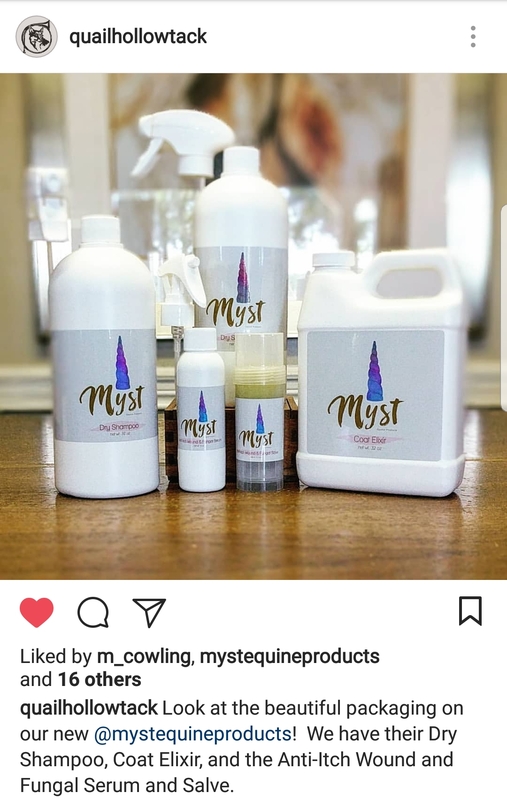 Well, I’m happy to say that Quail Hollow now stocks all the Myst Products! So what grooming products are you guys loving these days? Is anyone else a sucker for adorable packaging?